USDA has deregulated Monsanto's first-generation drought-tolerant trait. Drought tolerance is a big issue for corn seed breeders these days. 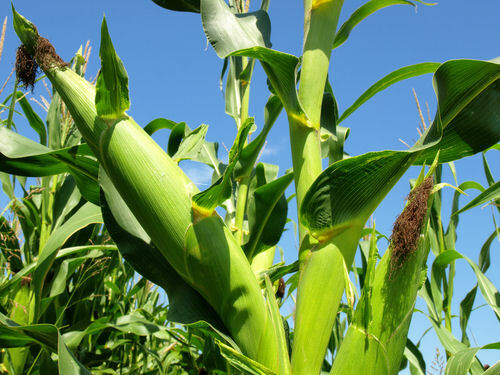 The idea that the plant can stand up to the heat, and lack of rain, that would cripple a lesser crop is the corn breeder's goal. And over time, the yields for corn in drought-stressed areas has improved. Apparently there's more room for growth and the path includes biotechnology. USDA has deregulated MON 87460, a first-generation drought-tolerant trait for corn developed by Monsanto and BASF. The two companies have a program they call the Yield and Stress collaboration aimed at developing higher-yielding crops and crops more tolerant to adverse environmental conditions, such as drought. With the new MON genetics, there will be seed available for field trials in 2012. Monsanto plans to have both a Genuity VT Triple PRO and a Genuity VT Double PRO (no below ground protection) available for those drought trials that will generate data to help the company make commercial decisions, according to a press statement. Major players in the market - including Pioneer Hi-Bred, a DuPont company, and Syngenta Seeds, are offering non-biotech drought-tolerant choices. Those two players will be bringing biotech-based solutions to market in the next few years as well. For farmers, it means some more choices to make (if you can get the seed) for your farm. Monsanto says that import approvals in key corn markets with functioning regulatory systems are already in process. Next year, you'll see a battle of the drought-tolerant hybrids in field trials as these players line-up to share the benefits of their corn traits. Of course, the proof will be in the bin next fall. Given the worries over drought from Texas to the Dakotas, these new hybrids, including the new MON trait, are going to be welcome additions to seed buyers' choices for the 2012 season. Farmers will get more information about how best to deploy this new technology - whether it makes sense to deploy it in Western states that are historically dry to boost yields in challenging situations, or in traditional Corn Belt areas as a kind of "insurance policy" against dry weather. Questions like this remain to be answered.